The NHTSA Office of Defects Investigation has received 35 reports of severe corrosion around the driver’s front strut area and should the corrosion get bad enough without proper attention, it could fail altogether and make it very difficult to steer the vehicle. In 5 of these reports failures in the Pathfinder and QX4, the strut tower failure has caused the steering shaft to break and in those cases, the driver would not be able to control the direction of the vehicle. 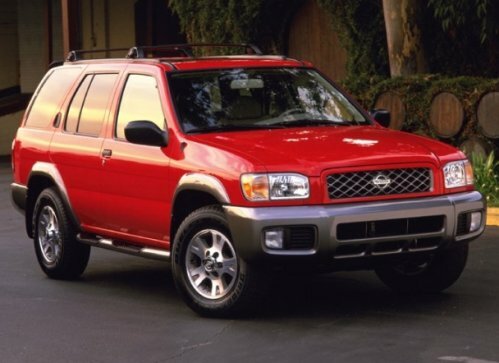 This investigation affects Nissan Pathfinders built from 1996 to 2004 and Infiniti QX4s produced in 1997 to 2003, with roughly 400,000 vehicles in total being affected. This comes as part of a massive influx of rust-based investigations and recalls from a variety of automakers in the US market including Toyota and Ford Motor Company. Rust (the NHTSA likes using the word corrosion) is common on older vehicles but considering the relatively new vehicles involved in this investigation, if the structural portions of the vehicle are found to rust at an excessive pace, the NHTSA could issue a recall but then what? The strut tower is a difficult portion of the vehicle to just up-and-replace so it will be interesting to see what procedure is taken to repair this issue should the NHTSA find it to be a safety risk to owners. TorqueNews.com will bring you continuing coverage of this new Nissan and Infiniti investigation as more information becomes available. Wife had qx4 1997. Driving safe speed. No road hazards. Slight dip in road on corner. back end according to witness appeared to working independent of frame. Wife gave same description. Va. State Police refused to sight her for reckless driving. (Even though 99% of single car accidents result in ticket). Officers on the scene felt, " something catastrophic must have failed on rear end. Wife had total loss of traction control, no breaks, no steering. Rolled SUV after hitting bolder. SUSTAINED brocken leg had to be pulled out through sun roof. I have placed report with NTSA.